The Grand Copthorne Waterfront Hotel is set to wow its guests in June 2016 with a spanking newlobby and a brand new integrated dining destination after a massive makeover which started end November 2015. This new concept is modern, vibrant and eclectic and embodies the best of the East and West. Oriental and Western elements are reflected through the different materials and colours in the design, décor, lighting, furniture and art pieces throughout the entire property. The lobby area comprises four new F&B outlets including Food Capital, an all-day dining buffet restaurant, Grissini, a Southern Italian restaurant, Tempo, a dynamic bar featuring adventurous concoctions, a mixologist and resident deejay and Secret Chat, a patisserie for special moments. Food Capital, Tempo and the lobby will be launched on 2 June 2016 while Grissini will be unveiled on 11 June 2016. Secret Chat will be introduced in the third quarter of the same year. The entire makeover amounts to $17 million and in the coming months, you can also look forward to two additional function rooms offering more than 67,000 square feet of total function space with state-of-the-art facilities. A shimmering metal sheer curtain screening the artwork guides guests through the signature ‘golden mirrored glass entrance box’. Guests transition through this feature entrance; leaving the mundane behind and entering The Cloud, the lobby of the Hotel. Emphasising the height and volume of the lobby space is the cumulous cluster of Molo Clouds. The soft white glowing shapes form a dreamlike reminder you have entered a new world; a place to experience new things and leave your daily cares behind. Guests find themselves at the centre of the Hotel’s new experience, anchored by four bronze clad columns identifying the four corners of the world. This places the Grand Copthorne Waterfront Hotel in the centre, like Singapore as the hub of Asia. The new lobby also has an open concept reception and a self-check-in booth. The hotel’s lighting is designed by Light Cibles, specialising in unique lighting designs. The company has won numerous awards for unconventional lighting designs and excellence in environmentally-friendly practices. 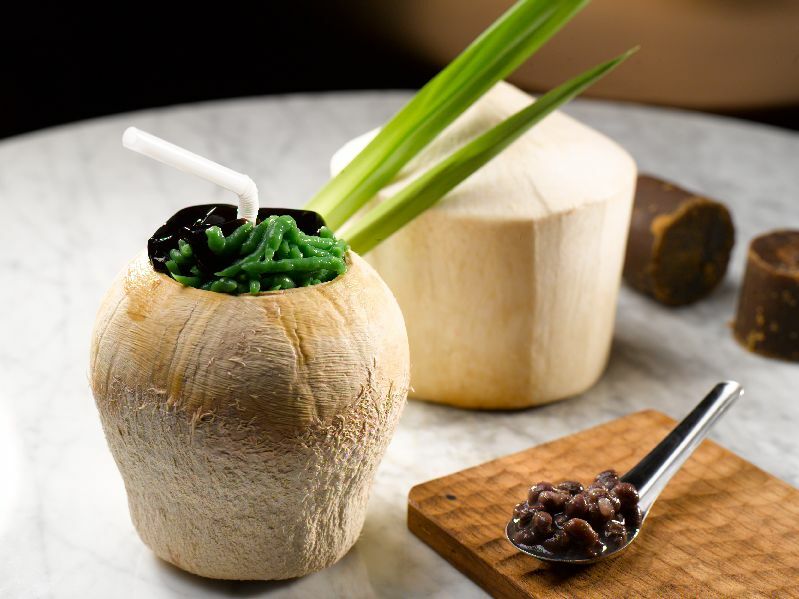 Come June 2016, the Grand Copthorne Waterfront Hotel’s brand new dining concept is set to wow the public with its spectacular culinary offerings. This new dining destination houses Food Capital, Grissini, Tempo and Secret Chat under one roof. A fully integrated experience awaits all guests as the layout connects all major functions through strategically placed elements at highlighted positions. Discover a whole of interactive gastronomy as you embark on this exciting journey. Explore theatrical show kitchens and cuisines from around the world at the all-day dining buffet restaurant, Food Capital hearty Southern Italian creations at the Italian Restaurant, Grissini, signature cocktail and mocktails at the dynamic bar, Tempo or pastries and light bites at the patisserie, Secret Chat. In between the iconic bar and buffet, various seating arrangements give guests choices for a multitude of gatherings. The glass windows showcase the lush foliage and the stunning view of the Singapore River. New outdoor seating gives guests the opportunity to immerse in the beautiful setting and the vibrant live grill station. Extended sightlines give prominence to the various food and beverage outlets, from the buffet with interactive live stations to the Italian restaurant with antipasti show kitchen and private dining. Grand Copthorne Waterfront Hotel’s new dining concept provides a feast for the senses where setting, food, presentation and ambience combine seamlessly. Food Capital Theatrical Show Kitchens and Cuisines from Around the World Offering a multi-sensory dining experience, the all-day dining buffet restaurant, Food Capital offers cuisines from around the world and theatrical show kitchens. Vibrant flavours come together in a kaleidoscope of tastes that pay homage to well-loved original recipes. From the east to the West, we showcase the best of these cuisines live from our show kitchens. Bring your taste buds for a trip round the globe and embark on an unforgettable culinary journey. Sashimi and sushi are freshly sliced at the Japanese station, while the rotisserie station features perfectly grilled beef stripling, Australian ribeye and boneless lamb leg. Look forward to the Asian wok fried dishes that are deftly prepared, and indulge in mouth-watering tandoori chicken freshly prepared in the tandoori oven. The restaurant’s showmanship extends to its dessert station - a few of its highlights are the impressive showcase of teppanyaki ice cream served with fresh berries, jelly bean, chocolate chip and oreo chip, and the beautifully deep-fried cinnamon churro served with mixed berries, vanilla sauce and chocolate sauce. Featuring live antipasti stations, private and exclusive dining rooms, a charcuterie and cheese room and a wine cellar, Grissini offers hearty Southern Italian creations. Look forward to premium meats and seafood along with a twist on classic favourites. Chef Antonio Cocozza infuses passion, dedication and finesse in his craft, whipping up delectable dishes from his hometown. An extensive selection of fine cold cuts are offered here, including mortadella and iberico just to name a few. Some standouts are the porcini and prosciutto (12 months aged parma ham, porcini mushrooms, cream, rocket leaves and mozzarella) and the bianca (black truffle paste, mozzarella, aged bacon, cream sauce and basil). It is a wonderful sight as well to see the chefs knead the pizza dough in front of guests. The restaurant’s unique oven combines an oven and grill in one and is fired by charcoal and flavoured wood to bring out the aroma and texture of the ingredients. Food items such as prime ribeye, Italian pork sausages, Iberia pork collar and Atlantic scallops are grilled whilst keeping moisture in, creating optimal outstanding flavours. For mains, the merluzzo (roasted Atlantic cod with eggplant caponata) is served Mediterranean style, while the porchetta- crispy pork belly marinated with white wine, fennel seed, fresh herbs and garlic, is roasted to perfection. A spectacular finale to the meal would be house speciality limoncello tiramisu that is superbly executed with layers of savoiardi, mascarpone and zabaione cream enhanced with lovely citrus notes. Dynamic bar featuring adventurous concoctions, mixologist and resident deejay unwind at Tempo, our dynamic bar, ideal for pre-dinner drinks and post dinner revelry. and #locotempo135 – Malaya & mojito-inspired, pandan-infused rum, gula Melaka, lime, mint). The signature cocktails are priced at $22++ each. Our resident deejay will also captivate you with his powerful repertoire. Step into the spirit of things. Patisserie for special moments (opening in the third quarter of 2016), Helmed by award-winning Executive Pastry Chef, Nicolas Maugard, this patisserie offers salads, sandwiches, delectable confections and small bites for dine-in and takeaway. 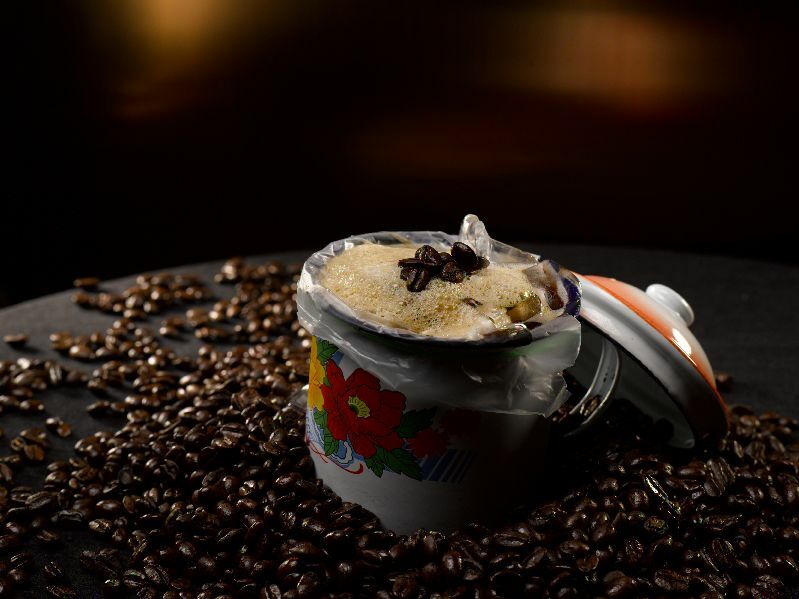 Indulge in a little tête-à-tête over a cup of speciality coffee or freshly brewed tea. Food: 24 hours for light bites (meal items from à la carte menu till 11pm. Thank you Grand Copthorne Waterfront Hotel for the splendid evening.